Ihering, H.v. 1910. Über Brasilianische Najaden. Abhandlungen der Senckenbergischen Naturforschenden Gesellschaft 32: 111-140. ‘Küster’ Ihering, 1910, Abh. Senckenb. Naturf. Ges. : 134. Ihering, 1910, Abh. Senckenb. Naturf. Ges. : 133, pl. 12, figs. 7a-b. 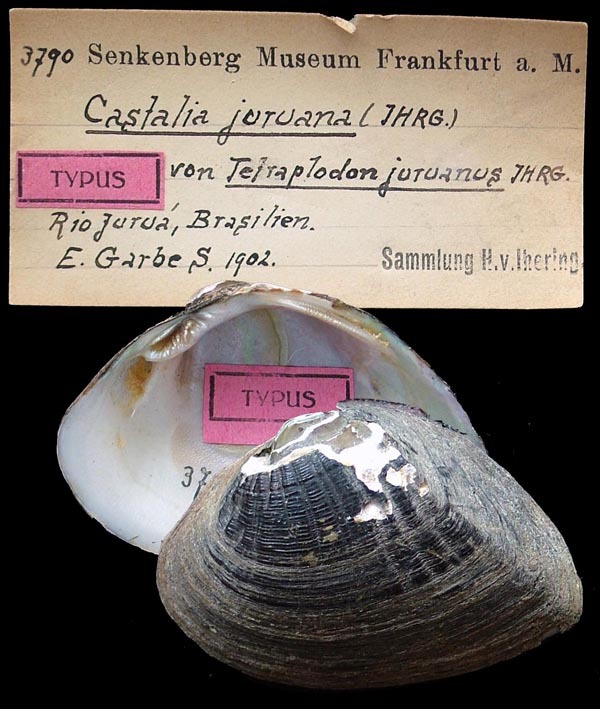 Type(s): TYPE SMF_3910, Lagoa Juparaná, a Rio Doce, St. Esp. Santo, Bras. Ihering, 1910, Abh. Senckenb. Naturf. Ges. : 135, pl. 12, fig. 8a-b. Type(s): TYPE SMF_3924, Lagoa Alagadinha, St. Goyaz, Bras. Amazonas Geb. Ihering, 1910, Abh. Senckenb. Naturf. Ges. : 132, pl. 12, figs. 6a-b. Type(s): TYPE SMF_3920, Rio Doce, Staat Espirito Santo, Bras. 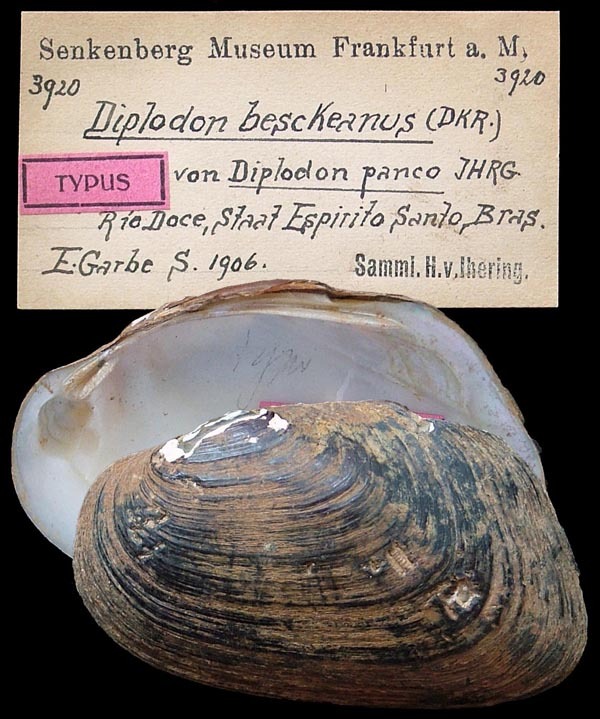 Diplodon ellipticus santanus Ihering, 1910. Ihering, 1910, Abh. Senckenb. Naturf. Ges. : 134. Type(s): TYPE SMF_3893, Rio Santa Maria, Nebenfl. d. Rio Doce, Esp. Santo, Bras. Ihering, 1910, Abh. Senckenb. Naturf. Ges. : 116, pl. 12, figs. 1a-1b. Type(s): TYPE SMF_3794, Cachoeira Funil, Rio Paraguassú, Bahia, Brazil. Ihering, 1910, Abh. Senckenb. Naturf. Ges. : 132, pl. 12, figs. 5a-b. Type(s): TYPE SMF_3841, Fazenda do Sacramento, Mun. de Sao Domingo do Prata, Minas Gereas, Geb. des Rio Doce. 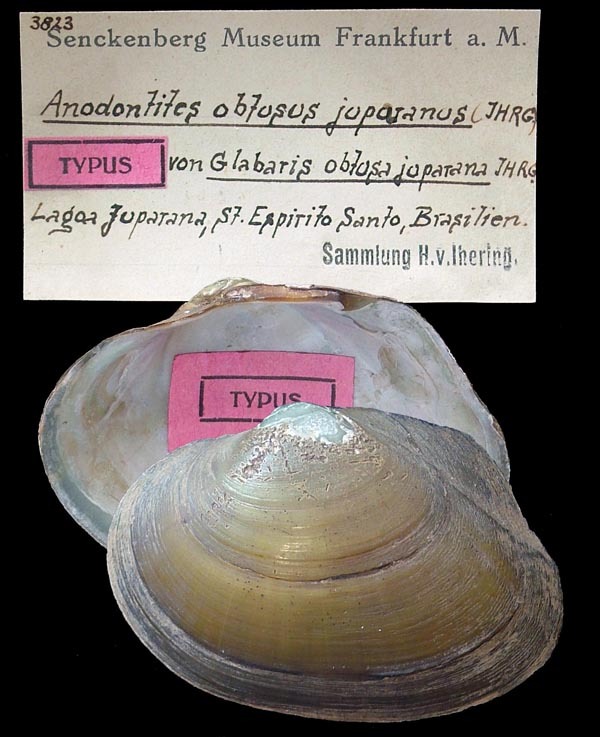 Glabaris obtusa juparana Ihering, 1910. Ihering, 1910, Abh. Senckenb. Naturf. Ges. : 131. 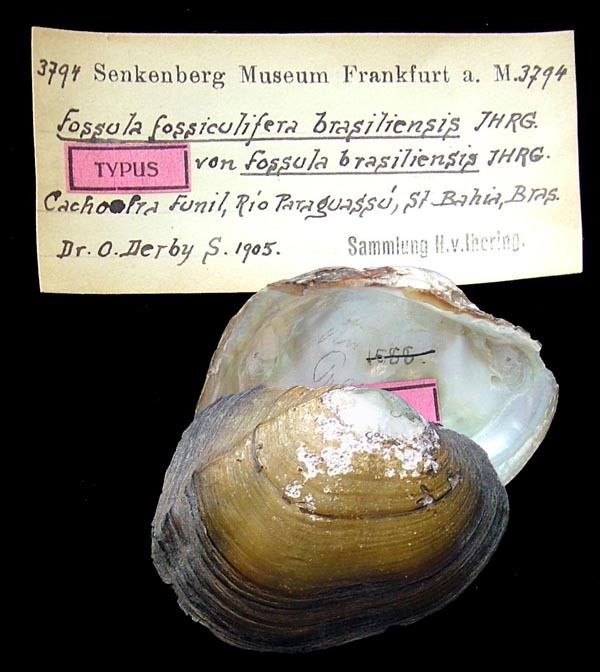 Type(s): TYPE SMF_3823, Lagoa Juparaná, St. Espirito Santo, Brasilien. Ihering, 1910, Abh. Senckenb. Naturf. Ges. : 122, pl. 12, figs. 3a-b. 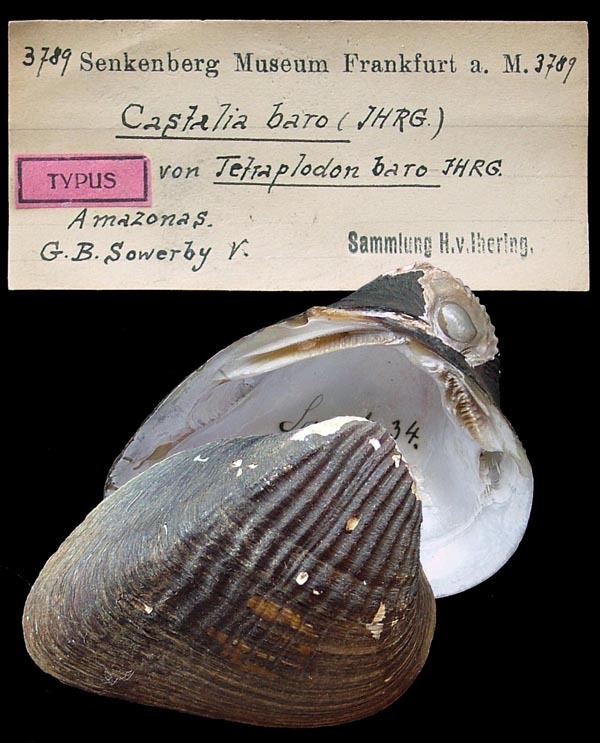 Type(s): HOLOTYPE SMF_3799, Rio Sao Francisco, b. Villa Nova, Staat Bahia, Brasilien. Ihering, 1910, Abh. Senckenb. Naturf. Ges. : 121, pl. 12, figs. 2a-b. 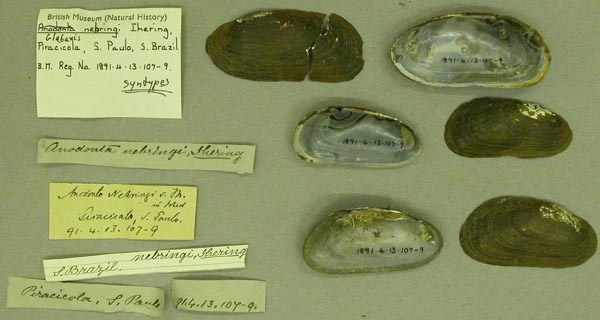 Type(s): TYPE SMF_3798, Rio Araguaya, Ilha do Bananal, Staat Goyaz, Brasilien. ‘Spix’ d’Orbigny, 1846, Voyage dans l’Amérique Méridionale: 601, pl. 67 [as ‘M. siliquosus’]. Mycetopoda staudingeri var. aequatorialis Ihering, 1910. Prisodon obliquus castelnaui Lea, 1870. ‘Hupé’ Lea, 1870, Synopsis Fam. Naiades: 25 [as ‘Hyria castelnauii’]. ‘Hupé’ Ihering, 1910, Abh. Senckenb. Naturf. Ges. : 135. Ihering, 1910, Abh. Senckenb. Naturf. Ges. : 127. Ihering, 1904, Rev. Mus. Paul. : 460 [as ‘T. ambiguus’]. Ihering, 1910, Abh. Senckenb. Naturf. Ges. : 126. Type(s): TYPE SMF_3790, Rio Juruá, Brasilien. Aplodon franciscanus Moric. — Ihering (1910: 138). Callonaia duprei (Récluz). — Ihering (1910: 135). Diplodon beskeanus [sic] Dunk. — Ihering (1910: 139). 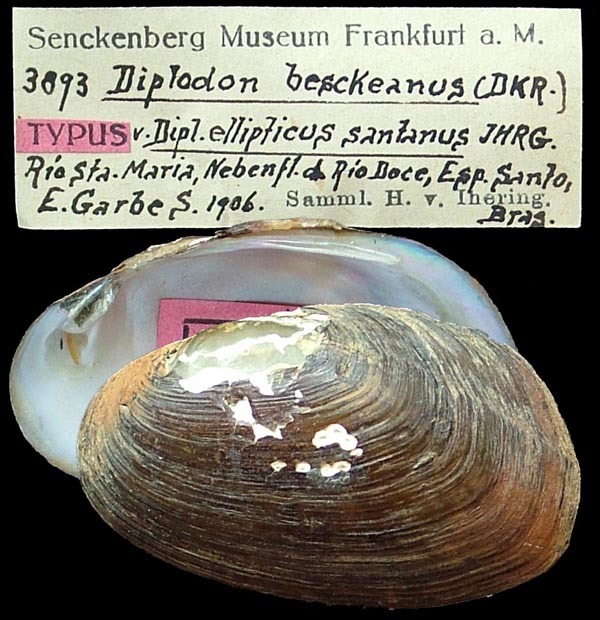 Diplodon ellipticus Wagn. — Ihering (1910: 138). Diplodon ellipticus santanus subsp. n. — Ihering (1910: 134). 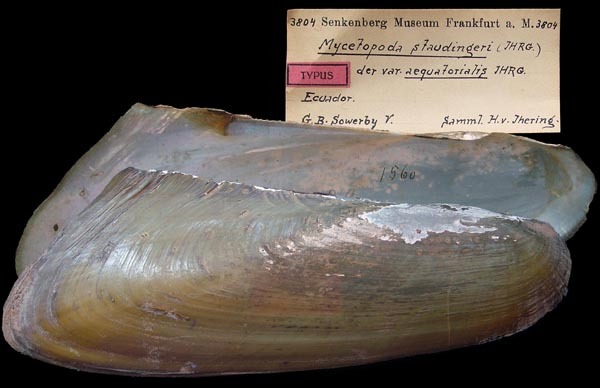 Diplodon expansus (Küster, 1856). — Ihering (1910: 134). Diplodon garbei sp. n. — Ihering (1910: 133). Diplodon hartwrighti sp. n. — Ihering (1910: 135). Diplodon multistriatus Lea. — Ihering (1910: 139). Diplodon panco sp. n. — Ihering (1910: 132). Diplodon rotundus Wagn. — Ihering (1910: 138). Fossula balzani von Jhering, 1893. — Ihering (1910: 115). Fossula brasiliensis sp. n. — Ihering (1910: 116). Fossula fossiculifera (d’Orbigny, 1835). — Ihering (1910: 115). Glabaris dulcis sp. n. — Ihering (1910: 132). Glabaris moricandi (Lea). — Ihering (1910: 138). Glabaris nehringi Jh. — Ihering (1910: 139). Glabaris obtusa Wagn. — Ihering (1910: 138). Glabaris obtusa juparana subsp. n. — Ihering (1910: 131). 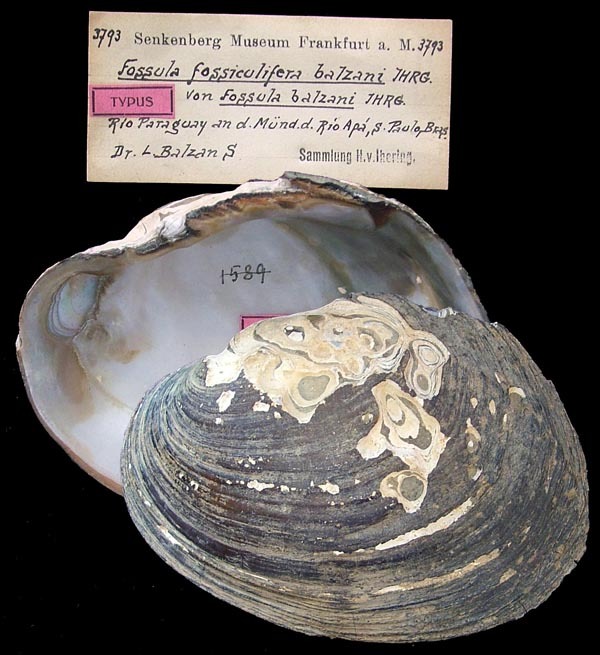 Glabaris trapezea (Spix & Wagner, 1827). — Ihering (1910: 138). Glabaris trapezialis [sic] (Lam.). — Ihering (1910: 135). Glabaris trigona Wagn. — Ihering (1910: 137). Leila pulvinata Hupé. — Ihering (1910: 135). Mycetopoda bahia sp. n. — Ihering (1910: 122). 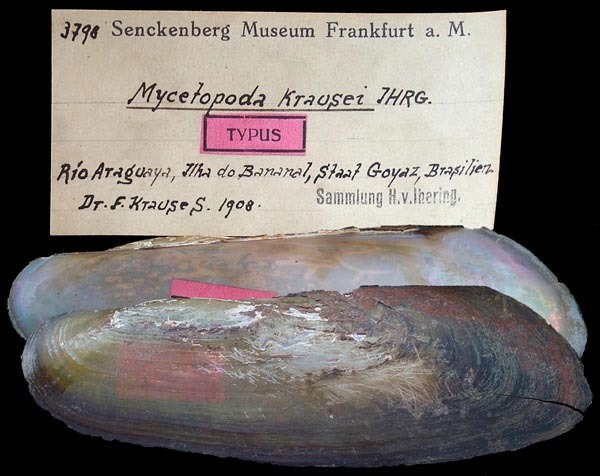 Mycetopoda clessini (von Jhering, 1893). — Ihering (1910: 120). Mycetopoda hupeana (Clessin, 1876). — Ihering (1910: 119). Mycetopoda krausei sp. n. — Ihering (1910: 121). Mycetopoda legumen (von Martens, 1888). — Ihering (1910: 120). Mycetopoda longina (Spix, 1827). — Ihering (1910: 119). Mycetopoda occidentalis (Clessin). — Ihering (1910: 119). Mycetopoda orbignyi sp. n. — Ihering (1910: 121). Mycetopoda punctata (Preston, 1909). — Ihering (1910: 122). Mycetopoda siliquosa (Spix, 1827). — Ihering (1910: 120). Mycetopoda soleniformis d’Orb. — Ihering (1910: 119). 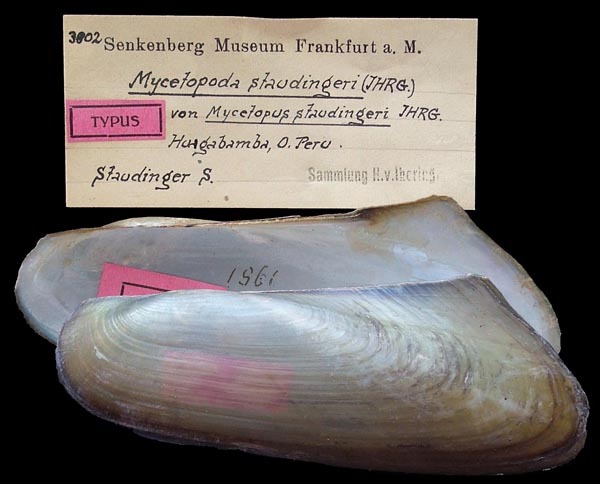 Mycetopoda staudingeri (von Jhering, 1890). — Ihering (1910: 121). Mycetopoda staudingeri var. aequatorialis var. n. — Ihering (1910: 121). 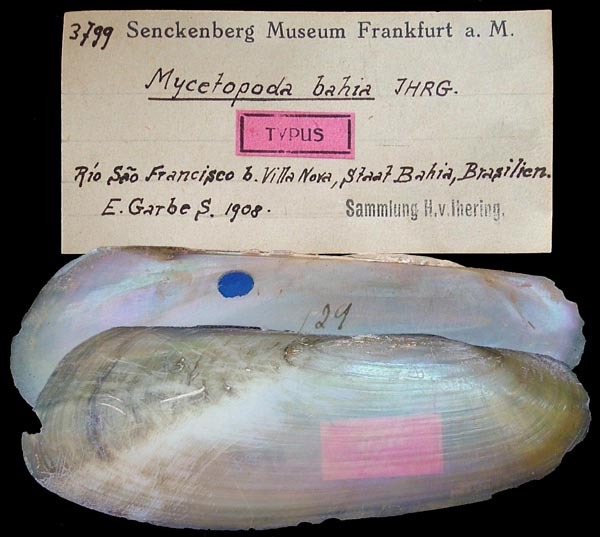 Mycetopoda subsinuata (Sowerby, 1868). — Ihering (1910: 120). Mycetopoda ventricosa d’Orb. — Ihering (1910: 119). Mycetopoda weddelli Hupé, 1857. — Ihering (1910: 119). Prisodon obliquus castelnaui [sic] (Hupé). — Ihering (1910: 135). Prisodon syrmatophora (Meuschen). — Ihering (1910: 135). Tetraplodon acuticosta (Hupé, 1857). — Ihering (1910: 128). Tetraplodon ambiguus (Lamarck, 1819). — Ihering (1910: 125). Tetraplodon baro sp. n. — Ihering (1910: 127). 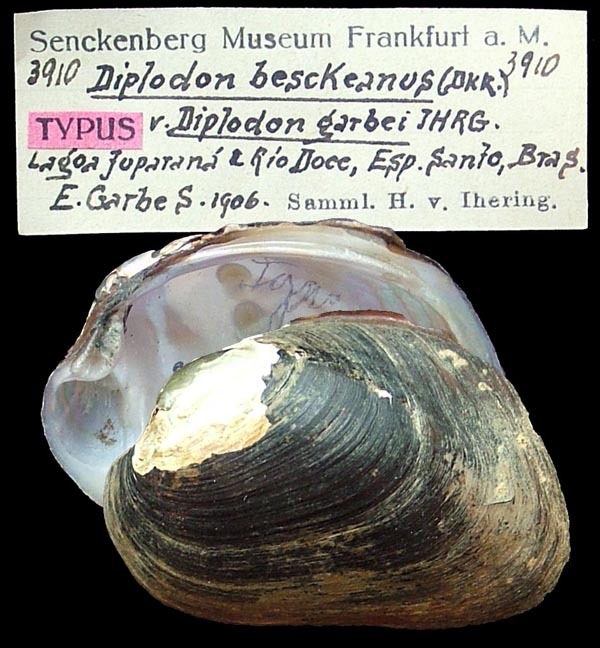 Tetraplodon cordatus (Sowerby in Reeve, 1869). — Ihering (1910: 127). 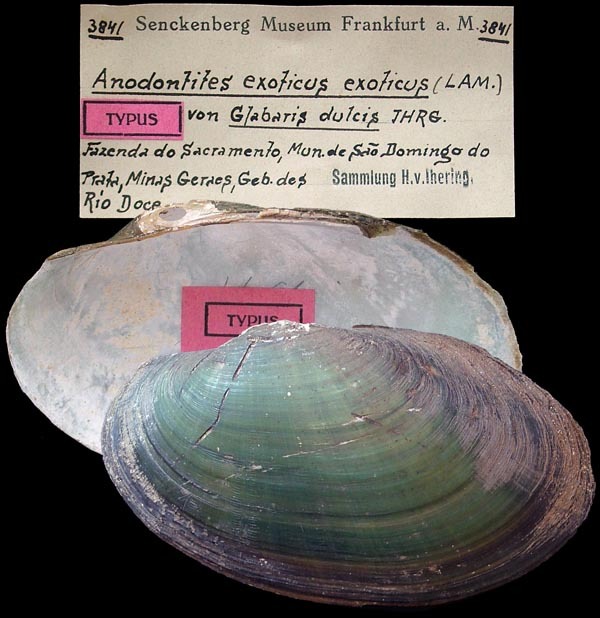 Tetraplodon hanleyanus (Sowerby in Reeve, 1869). — Ihering (1910: 127). Tetraplodon inflatus (d’Orbigny, 1835). — Ihering (1910: 126). Tetraplodon juruanus sp. n. — Ihering (1910: 126). Tetraplodon lateriquadratus (Sowerby in Reeve, 1869). — Ihering (1910: 125). Tetraplodon multisulcatus (Hupé, 1857). — Ihering (1910: 125). 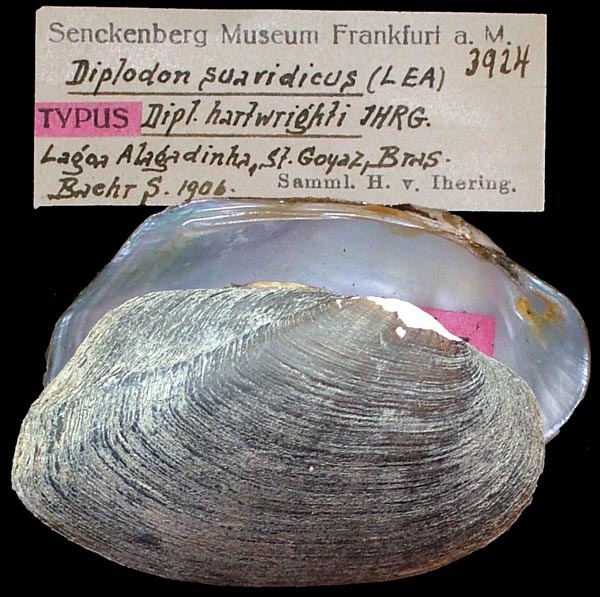 Tetraplodon pectinatus (Spix & Wagner). — Ihering (1910: 125). Tetraplodon quadrilaterus (d’Orbigny, 1835). — Ihering (1910: 127). Tetraplodon retusus (Hupé, 1857). — Ihering (1910: 126). Tetraplodon turgidus (Hupé, 1857). — Ihering (1910: 127).